The first revolution in online advertising appeared back in 2000 as Google AdWords/Adsense as pay per click advertising. Several years later produced the second online sensation in advertising being in-text advertising. Although this didn’t produce as much publicity as pay per click advertising, in-text advertising approaches online advertising, like PPC, interestingly different. One snippet of code and let in-text advertising do the rest. However, is it a competitor to the big giants like AdWords and Ad dynamo: PPC? You will get a lot of traffic for not much money. How ‘healthy’ is the traffic? There are lots of advertisers bidding for the same keywords. Therefore, with the saying ‘supply and demand’, demand (for keywords) has increased for the same supply (of websites to advertise on). The traffic from the keywords used has an extremely high conversion rate. If the traffic is ‘healthier’ where there is more chance of a conversion, advertisers will be more willing to pay a lot more for individual clicks. Usain Bolt in the London 2012 Olympics managed to retain three golds in 100m, 200m and the 100m relay while producing one Olympic record and world record. Some speculate he is looking for a new challenge possibly in 400m or long jump. There is a short paragraph about the London 2012 Olympics and Usain Bolt the Jamaican sprinter. Let’s take this as our content. If PPC was applied to this paragraph, it would analyse every word of the content and gain a good idea about what it is about. Therefore, the adverts will be related to sport, athletics and the Olympics. Whereas, if it was Infolinks and in-text advertising, there will be links on just ‘London’ which if hovered will say ‘Fancy visiting London? Click here’ and ‘golds’ that will say when hovered ‘Short on cash? 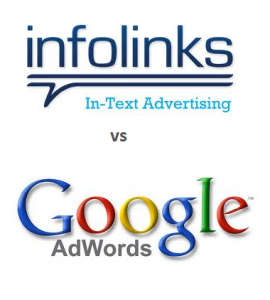 Sell your gold and earn!’ I hope this gives you an idea about the differences between Infolinks and PPC. 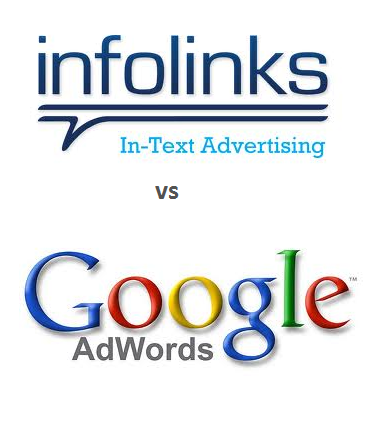 From this, I do feel Infolinks cannot be a competitor to PPC. The traffic is just not related enough because the way in-text advertising gets the traffic is the wrong way. It is contextual, but only for specific words. For best success, in-text advertising needs to be contextual to individual words and the whole content.